There are few things more annoying than returning from your safari with hundreds of photos of barely distinguishable blobs of gray and brown surrounded by grass, shrubs and trees. You will bore your friends and family, you may even bore yourself when you look through them years later. If you want your safari photos to look good and reflect what you are actually seeing, here are some top tips for shooting wildlife (with a camera, of course), along with five lodges that offer photography workshops and expert guidance. Camera – You don’t have to spend a lot of money on your camera as a great picture is as much about composition as technical perfection. A compact digital camera with a good image stabilized zoom is great for taking decent pictures quickly. Lenses – Many photographers bring easily interchangeable lenses – a 200-400mm telephoto lens for zooming up close (since you are usually taking shots from a vehicle and can’t always get closer to the animals), and a 24-100 wide-angle lens for photographing landscapes. Practice – Visit your local zoo or practice on your pets before you go, especially if you have new equipment. You’ll need to react fast to get a good photo so you’ll need to know exactly how your camera works. Extra batteries and chargers – Don’t run out of batteries halfway through a game drive! Bring extra batteries and extra memory cards or a portable hard drive – but beware of keeping too many photos or you may find going through them all at a later date too overwhelming. Protect your camera – Dust and sand can get everywhere and damage lenses. Bring protective filters and a cleaning kit with an air blower, as well as plastic zip-lock bags to store batteries and memory cards. Beanbag –The more you zoom, the more sensitive your camera is to slight shakes and bumps so it pays to keep it steady. A tripod isn’t practical, so a beanbag or even a bag of rice is the perfect thing to rest your camera on when in a safari vehicle. Be patient – Pace yourself – remember that you’ll be going on several game drives so you will have more than one opportunity to get a fantastic photo. Composition – The rule of thirds is always a good starting point. Imagine a 3×3 grid (or use one that is built into your camera) and place your subjects around the points they intersect rather than in the center of the frame. Try to wait for an animal to look up, to catch light in its eye, to turn its head for a more interesting shot. Lastly, focus on the eyes of the animal you are photographing to draw the viewer into the image. Look around – Birds in flight or perched on trees can make great photos. Look close too – small insects are fascinating up close. Don’t discount your more common game such as impala, either. They may be ubiquitous, but look closely and you’ll discover photogenic features such as interesting curved horns and big eyes framed by long eyelashes. Get down – You’ll get a better picture if you can get down to the same level as the animal, but that’s not possible if you’re stuck in a safari vehicle. Consider a walking safari, and bring a chest harness to keep your camera steady. Put the camera down – even the most seasoned safari photographers will tell you that there are occasions when you need to put your camera away and focus on being in the moment. While all the lodges we recommend have guides who are excellent photographers themselves, here are five with specially tailored programs that cater for the amateur as much as the expert. Spend two days learning how to get the perfect shot with an expert wildlife photographer and guide at this lodge in Timbavati Private Nature Reserve in South Africa. Training is either one to one or in a group with a maximum size of four and you’ll have your own vehicle on game drives for maximum flexibility. You can also arrange equipment hire in advance. All of the Great Plains camps in Botswana, Kenya and Zimbabwe offer the option of photography workshops and tailored private tuition, and whether you’re on an iPhone, a GoPro or something more sophisticated they’ll be able to offer expert tips and advice. 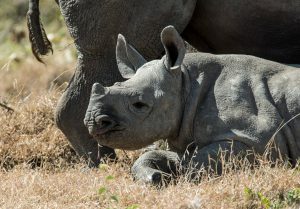 You’ll also have the opportunity to gather data for a wildlife facial recognition monitoring project run by the University of Surrey in the UK. The big draw for photographers to this lodge in Madikwe Game Reserve in South Africa is the submerged terrapin hide. Accessible via an underwater tunnel, this is the ultimate spot to observe wildlife undetected and close up. Equipment hire can also be arranged with prior notice. Situated on the corridor between Tarangire National Park and Lake Manyara in Tanzania, Chem Chem offers the photography enthusiast an opportunity to dip into some expert guidance without too much of a commitment. 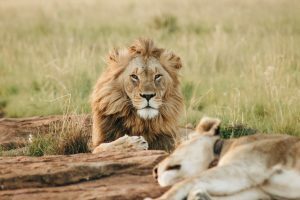 Their one-day programs consist of game drives accompanied by an expert photographer who can advise on technical issues such as shutter speed, ISO and aperture, as well as composition and making the most of different lighting conditions. Located in the Sabi Sands Private Game Reserve in Kruger National Park, Londolozi offers superb photography workshops. They include the services of a private tutor who will accompany you on game drives to give expert advice and will also assist in post-processing and editing in the lodge’s dedicated studio. Edit and process your pictures on Lightroom CC software, print them out onto canvas or paper, and take home your best shots on a memory stick. You can also rent equipment by prior arrangement.